Most of the data that has been generated throughout history is currently serving no purpose. Let me explain why. First off, the words ‘data’ and ‘information’ are not the same. While data is a seemingly random pool of facts and details, information is derived from data that has been analyzed and given context. Information can be used to draw conclusions, data needs to be sifted through first. But how much of the world’s data has actually been analyzed? According to a Digital Universe study by IDC, only 3 percent of today’s data is “tagged” – meaning it has been recognized and stored – with 0.5 percent of it analyzed and ready to use. So how do we even begin to make sense of all this unanalyzed data? Through the use of something called big data analytics. Big data is “big” in terms of volume. For those who aren’t aware of how big 163 zettabytes actually is, just know that one zettabyte could store 2 billion years worth of music. Multiply that by 163, and this is how much available data there will be by 2025. But volume is only one aspect of big data. There’s also the velocity at which the digital universe is expanding. For example, there are over 600 items sold every second on Amazon’s Prime Day. Not only is that great for Amazon’s bottom line, but it represents how quickly data is being generated. It’s not just size and speed, but variety of data as well. For every item sold on Amazon, a number of data points are at work. 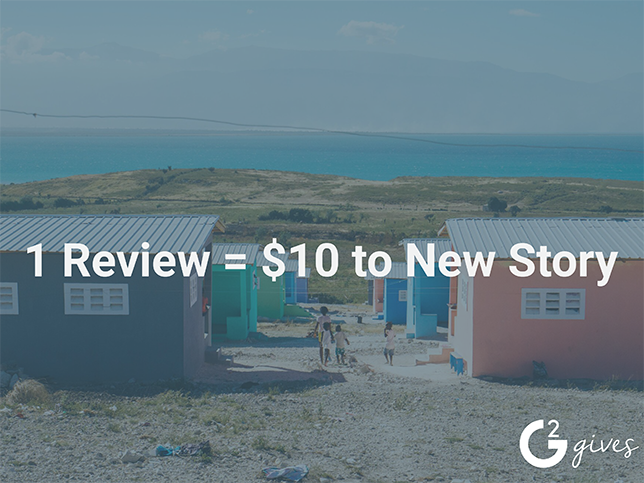 This includes transactional data from point-of-purchase to shipping, consumer insight data which allows Amazon to suggest other items, supply chain data for fast order fulfillment, inventory data, and much more. Big data can be overwhelming, and without a strategy to apply all this data to solve a problem or reach a goal, it doesn’t serve much purpose. This is why big data analytics software is so important. Big data analytics looks at raw, massive sets of mostly unstructured data in an attempt to uncover patterns, market trends, and customer preferences to help businesses make informed predictions faster. Big data analytics can be paired with emerging technologies such as artificial intelligence and machine learning for more complex insights. 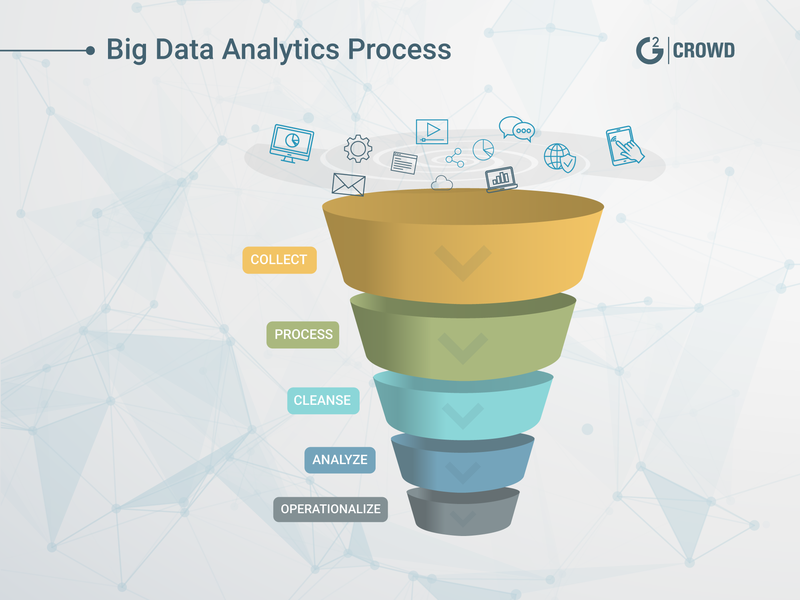 A process of data collection, processing, cleansing, and analysis is standard for big data analytics. Data mining, a subset of data analysis with a mathematical and scientific focus, can also be used to identify patterns or trends. Before data can be analyzed, it first needs to be collected. Based on the purpose of using the data, this process may look different from one organization to another. Below are three types of data that are typically collected during this first step. Data that is linear and stored in a relational database (think of data you see on a spreadsheet) is called structured data. This type of data is much easier for big data programs to digest, but only accounts for a small percentage of today’s data. About 80 percent of today’s data is unstructured data – most of which is generated by humans. This data comes in the form of text messages, social media posts, videos, audio recordings, and more. Since unstructured data is diverse (and sometimes random), big data programs have a much more difficult time making sense of it. Semi-structured data is a data type that has some tagging attributes, but is not easily understood by machine language. Examples of this are XML files or email messages. These data types can be collected from cloud storages, servers, operating systems, embedded sensors, mobile applications, and other sources. Once collected, the data will need to be stored in a way so it can be quickly processed. Since big data is so “big” and diverse, storing this data in a database isn’t always viable. After data has been collected and stored, it is now ready to be processed and sorted through for usage. There is, however, a common challenge with processing big data. Research from IDC reveals that the amount of data in the world is actually doubling in size every two years – outpacing our abilities to decipher it. This has lead to the rise of real-time processing, but it’s not the only method for processing big data. Batch processing looks at massive datasets that have been stored over a period of time, and is the least time sensitive method for processing big data. Millions of data blocks can be processed in batches, but could take hours if not days to see its output. The increasing demand for real-time analytics has sort of overshadowed batch processing. But don’t be fooled, batch processing is still highly useful in cases where real-time analytics aren't necessary. For example, transactions that have occurred throughout the week by major financial firms can batch processed. A more time sensitive method for processing big data is called stream processing. When real-time analytics are key to your organization’s success, stream processing is the way to go. Contrary to batch processing, there is little-to-no delay from the time data is received and then processed – allowing businesses to make quick changes if needed. Stream processing can be useful for tasks like detecting fraudulent activities with transactional data. This method is newer than batch processing, highly complex, and is typically more expensive. 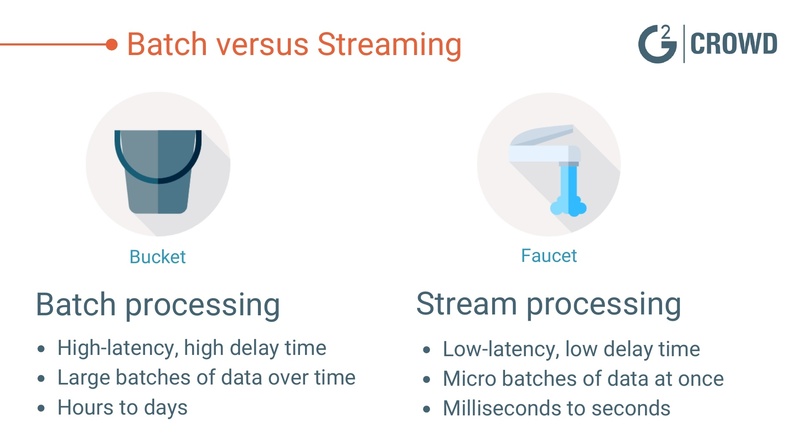 If I could visualize batch versus stream processing, I’d consider batch a bucket collecting millions of data blocks over time, while stream is a faucet with a smaller but steady flow of data. Not all data is of good quality or relevant to an organization’s bottom line. In 2016, IBM estimated the U.S. lost $3.1 trillion due to poor data quality. This is why the practice of cleansing, or “scrubbing” through processed data is one that is gaining relevance in the world of big data. So what does data cleansing look like? At a basic level, all data that’s going to be used for analysis needs to be standardized – meaning everything is formatted the same. Data also needs to be properly migrated from legacy systems, or old technologies that are no longer in use by an organization. Duplicated data and data that has no relevance must be “purged” as well. Data cleansing, although necessary, can be one of the most time-consuming processes when it comes to big data analytics. As a matter of fact, 60 percent of data scientists report spending most of their time cleansing data for quality. AI and machine learning will play increasingly crucial roles in cleansing unstructured forms of data like video, audio, and images. Natural language processing software can also be used for something called text mining to cleanse human-generated text-heavy data. 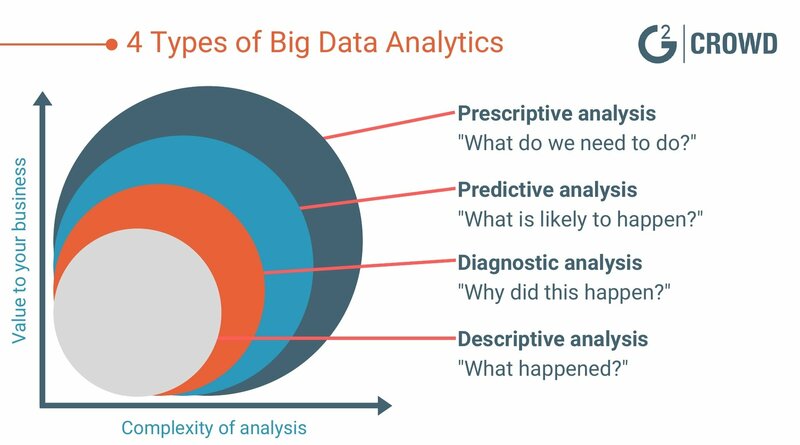 Descriptive analysis is the most common class of big data analytics because it gives you an overview of what happened at a particular point in the past. Analytics are visualized through reports, charts, and graphs. While emerging technologies are being used in big data analytics, they’re typically not needed for descriptive analysis. About 80 percent of big data analytics are actually descriptive. When your organization requires deeper insight into “why” a particular problem occurred, diagnostic analysis may point you in the right direction. Analysts can use interactive diagnostic visualization tools to “drill-down” and find the root causes of problems, instead of just looking at overviews with graphs and charts. It is at this point where big data analytics starts to get really complex. By incorporating AI and machine learning, this analysis can provide organizations with predictive models of what may happen next. Predictive analysis software has many use cases, even though it’s not widely adopted yet. For example, some insurance companies are using it to reduce their losses on claims and boost ROI. Using a high level of machine learning, prescriptive analysis may be able to provide your organization with actual answers on which action to take next. An example of non-business related prescriptive analysis today is a GPS device utilizing large amounts of geospatial data to provide you with the most efficient route (accounting for traffic, road closures, crashes, and more). Prescriptive analysis is not widely incorporated, and is extremely complex. While prescriptive analysis provides calculated answers, it still requires a user to input the goal they’re trying to achieve. Data mining, also referred to as “knowledge discovery in databases,” sits at the intersection of machine learning, AI, and statistics. Data mining is a scientific and mathematical approach to interpreting data, and it provides valuable insight to businesses. 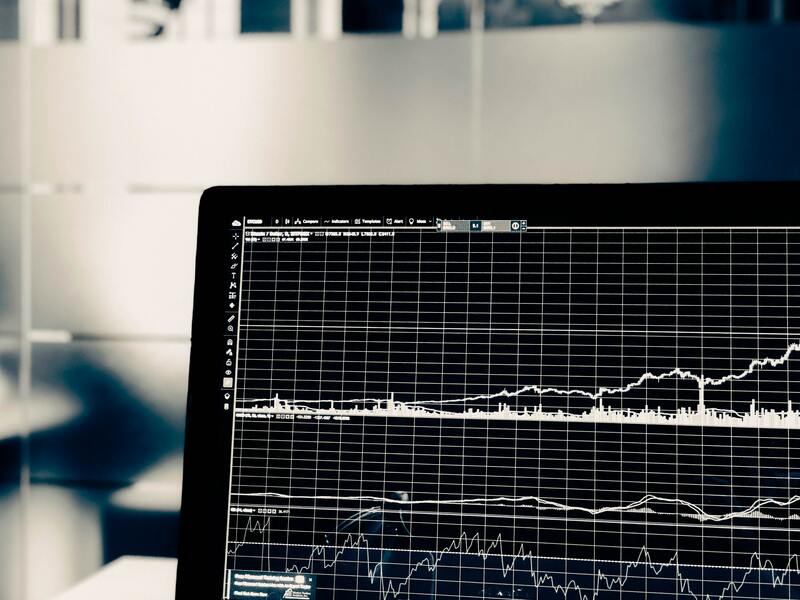 Both big data analytics and data mining can be used to uncover patterns and trends to boost productivity and revenue, however, the approaches are just slightly different. While big data analytics looks at the “unknown” in large, mostly unstructured datasets, data mining occurs within databases. Data mining tools incorporate a variety of techniques. One of these techniques is called “outlier detection,” which searches for anomalies in databases. Anomalies could detect abnormal behavior in data. Another technique is called “clustering,” which groups segments of data together based on their similarities. Data mining is about finding the needle in a haystack. It is a close-up view of data, and can be used for volumes of all sizes. Big data analytics looks at the bigger picture, and the relationship between all types of data. The two can work in tandem for both small and large scale discoveries. As data volumes continue to grow and new varieties of data emerge, the way we collect, process, and analyze data will need to evolve as well. IDC forecasts that by 2020, half of all business analytics software will incorporate some form of prescriptive analysis to cope with the growth of big data. The internet of things is a main driver of big data, which means the need for batch processing will slowly fade, and the demand for real-time analytics will sharply climb. By 2021, the average U.S. consumer will interact with 601 internet connected devices every day. Fast forward to 2025, and that number jumps to 4,785 interactions. That’s a lot of real-time data that will need to be managed. While big data is certainly “big,” the takeaway from big data analytics and other BI analytics platforms has nothing to do with size. Instead, finding fast and actionable ways to apply the right data will be most profitable for businesses, and could lead to groundbreaking discoveries across many industries. Organizations that make it a priority to discover and analyze relevant data could generate an extra $430 billion in productivity by 2020, according to IDC research. Without a strategy to distinguish the good data from the bad, that could lead to some serious productivity losses. So what can we take away from all this research regarding big data and data analytics? One thing is for sure, and that is the age-old wisdom of “quality over quantity” reigns true in the world of big data. Luckily for us, advancements in emerging technologies will help scrub through mountains of big data in the near future. Until then, avoiding information overload is crucial, and we can do so by establishing an objective before applying analytics.